Long time ago, Bau Trang was formed from a large lake. It is said by the word that to come across the huge lake, local people used the big sand boxes to open a path and divided the lake into 2 main parts: small and big lake. Do you why this is given name “Bau”.According to slang in here, “Bau” means lake; therefore, local citizens call the small lake by the name “Bau Ba” (grandmother’s lake) and the big lake by the name “Bau Ong” (grandfather’s lake). In addition, located at the middle of white sand dunes, Bau Ba is also known as Bau Trang (Trang means white) or Bau Sen at the time of lotuse’s flowering. 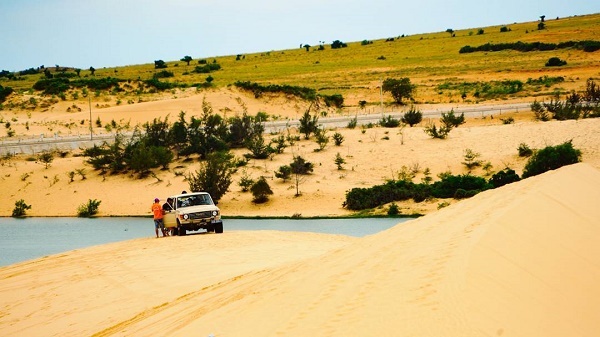 Although it is seen as a miniature desert, sweet and fresh water in Bau Trang lakes contributes to reduce the hot air of endless sand dunes. It is a favourable condition for tourists to explore the romantic nature and gain the unforgettable moments here. 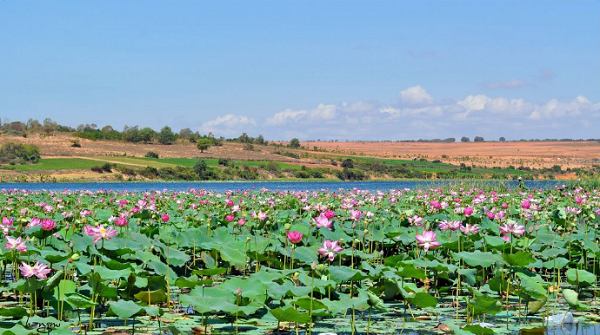 Visitors seem absolutely astonished when climbing up the sand dunes and seeing a sparkling silver lake in the brilliant sunlight and the pink lotuses flickering behind the green leaves. All create the dream-like natural landscape. Unspoiled Bau Trang with white sand dunes and gentle waves of the sea magically attracts more and more people who keep the beauty in their heart and take Bau Trang as an inspiration for their art. 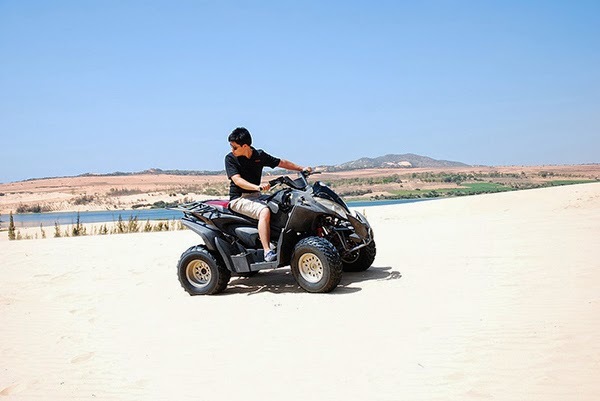 Setting foot on Bau Trang, travelers may choose to wander around the sand dunes, take some memorable and glorious photos, go camping to immerse yourself into the nature. Rending a boat to go fishing and discover the beauty of Bau Trang is highly recommended. Some professional photographers said that the best times to enjoy the beauty of Bau Trang and produce their art are in 5 a.m to 9 a.m and 4p.m to 6p.m. Let’s come here to find the answer for the question “why do they choose these times?”! If you are adventure lover, don’t forget to rend a terrain motorbike and set up your own plan to travel from the sand dune to another. You will recognize how excited you are. Bau Trang is always a wonderful destination for someone reaching Mui Ne and the big fans of unspoiled nature. Let’s come here to explore in one time if you have a chance.